Patients are turning to Google everyday in search of their next healthcare provider. Maintaining and building your online reputation has never been more important for physicians. After all, doctors spend years building their reputation and it only takes one disgruntled patient to write a scathing online review. 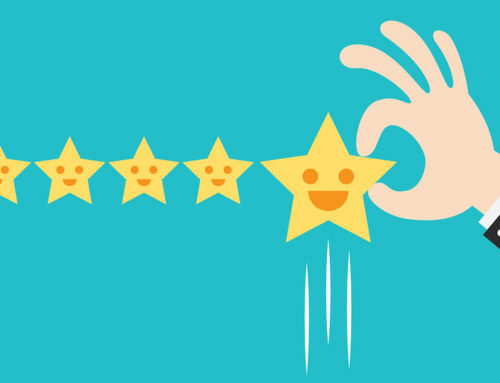 Below are 5 simple guidelines to boost your online reviews and ratings. Verbally soliciting online reviews from patients at the end of each appointment is burdensome. It’s one extra thing a doctor shouldn’t have to worry about. In reality, a doctor should be focused on delivering quality care. 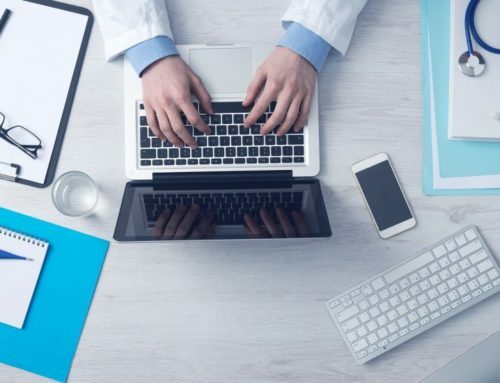 Some medical practices hand out “review cards” but it’s inefficient because the patient has to pull up their phone or laptop and navigate to the review site themselves. You want to automate this process and make it as simple and seamless as possible for every patient. 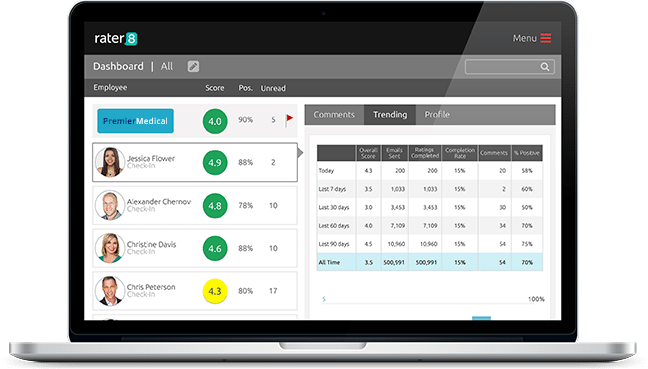 Solution: rater8 integrates with your practice management solution and automates your reputation management 100%. Patients receive an automated text or email asking them to rate their experience with the physician within minutes of checkout. Once rater8 is set up, it simply works. 2. Capture patient feedback in real-time. When requesting patient feedback, it is important to “strike while the iron is hot” and request feedback on the same day. 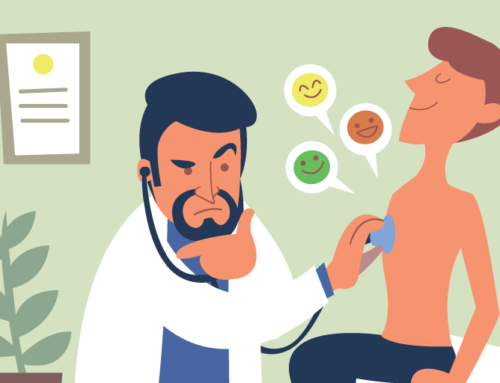 If patients have had a good experience, they are more inclined to share that positive feedback while it’s fresh on their mind. A week or two later may be too late. 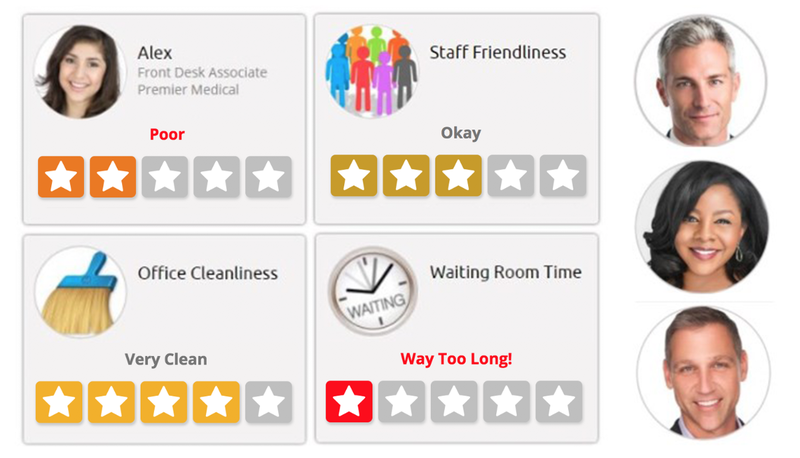 Solution: With rater8, you can solicit patient feedback within minutes of patient checkout. This time gap is easily configured. 3. Actively monitor the reviews. Designate someone in the practice to keep track when any new reviews come in. 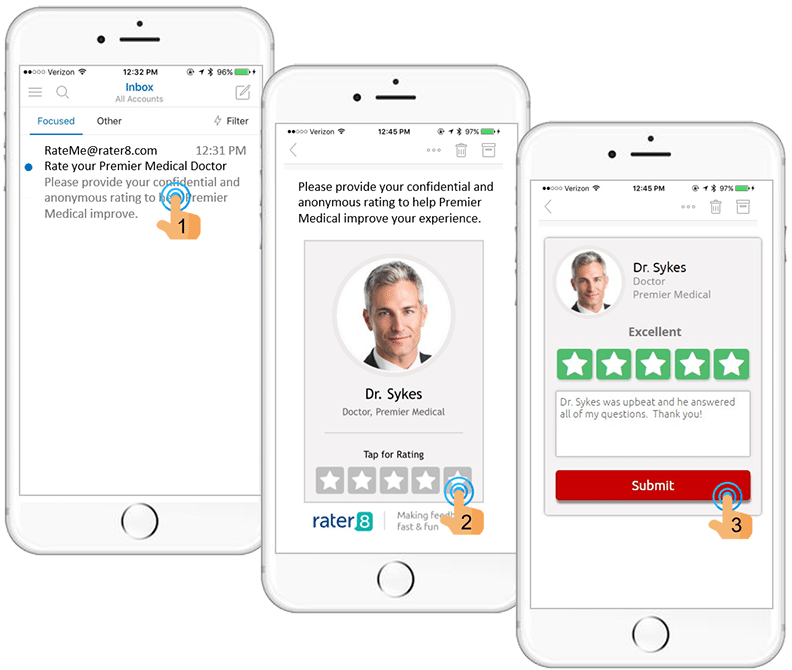 Solution: rater8 also sends low-rating alerts for the internal surveys so practice administrators can proactively address patient concerns or issues as they arise. This simplifies and automates that online monitoring. Additionally, rater8 helps you claim your listings so you’ll be notified when any reviews or questions appear. 4. Focus on areas where you need the most help. Are your Google Reviews strong but your Healthgrades are lacking? If so, focus building your reviews where needed most. When it comes to healthcare reputation management, each doctor will have different needs and requirements. Solution: rater8’s flagship product is pollin8 which allows you to “pollinate” all of the different review sites in parallel. With pollin8, you choose where you wish to direct your patients and build online reviews. This means you can send 50% of your patients to one platform (e.g., Google), 30% to another (Healthgrades), and 20% to a third (Vitals). This is easily configurable within rater8. 5. Claim and optimize your listings. By claiming your listing, you will have the ability to edit and optimize your listing. 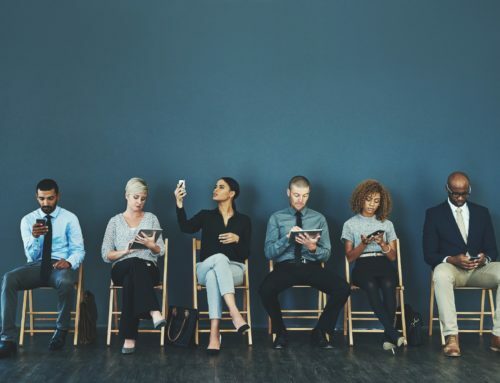 There are many ways to optimize your listing, including adding professional headshots, hours, specific categories (don’t list yourself as a doctor. Be more specific! ), and SEO-optimized descriptions. Solution: Claiming your listings can be burdensome. As a certified Google My Business Partner, we have the tools to help you efficiently claim and manage your individual doctors and location listings so you don’t have to worry about it.